WASHINGTON — A Veterans Affairs inspector general report on Wednesday blasted department Secretary David Shulkin for improperly accepting gifts, misrepresenting travel plans, and using a VA worker “as a personal travel concierge to plan tourist activities” during a controversial overseas trip last spring. Investigators also accuse Shulkin of lying about approvals for the trip when confronted by reporters about possible ethics violations, and suggest he worked to cover up those problems as the scandal developed. Shulkin has repeatedly defended the 10-day trip to Denmark and London as official VA business, with a break in the middle for approved tourist activities not funded with taxpayer dollars. Problems with the July travel first came to light last fall when the Washington Post reported that Shulkin may have improperly accepted tickets to the annual Wimbledon tennis tournament and improperly paid for his wife’s airfare. It came less than two weeks after Shulkin issued a staff memo on essential employee travel advising all department employees to decrease unnecessary trips and “generate savings” for other priorities within VA. The report lists five violations of federal ethics rules and procedures, and calls into question the value of the $122,000-plus overseas trip. It recommends Shulkin reimburse the government several thousand dollars for travel expenses and the tennis tournament tickets, plus a revamp of the department’s ethics procedures. In a response, VA leadership said they would review the findings but did not agree to any of those changes. Shulkin’s wife — Dr. Merle Bari, a private-sector physician — was one of a dozen official travelers on the trip. The IG report states that her attendance was justified by then-VA Chief of Staff Vivieca Wright Simpson’s assertions that Shulkin would be presented with an award as part of his visit to Denmark, even though no such honor was scheduled. Justice officials have declined any action thus far. The report recommends VA officials levy their own penalties in the case. Investigators criticized the amount of sightseeing by Shulkin and his wife on the trip, listing numerous tourists stops at Copenhagen landmarks, London venues, and even an unplanned dinner in Sweden. They said planning for much of those excursions was done by a VA employee working as an official trip coordinator. 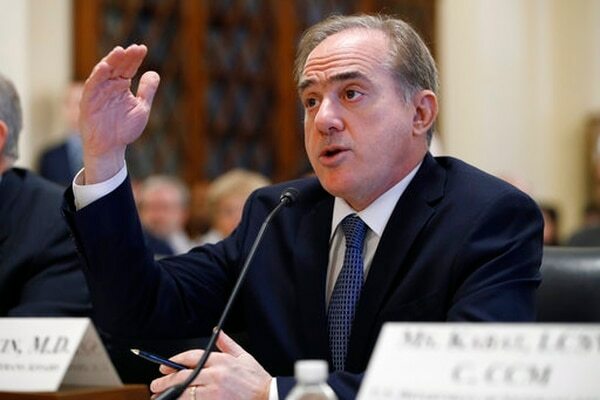 “This was time that should have been spent conducting official VA business and not for providing personal travel concierge services to Secretary Shulkin and his wife,” the report stated. Shulkin said publicly that the tennis tickets were a gift from a personal friend, but investigators cast doubt on that relationship and said the secretary violated federal rules regarding gifts from outside individuals. Along with the tickets, Shulkin’s family received lunch at the private members’ dining room at Wimbledon before the match. The report also sharply criticizes Shulkin’s interactions with the media after details of the trip were made public. They said he misled reporters by stating he paid for the tickets (which he did not) and that the ethics office had cleared all questions surrounding the trip (they had only reviewed some parts). “VA issued a misleading statement to The Washington Post about the trip and did not correct the statement despite knowing that it was not entirely accurate,” the report stated. In a statement to the IG office, Shulkin attacked the investigators, saying that despite his cooperation in the case “you have treated the staff of the Veterans Administration, my wife and my friends with extreme contempt, bordering on badgering and harassment.” He has asked for “corrections” in the report. In a separate response, VA Deputy Secretary Thomas Bowman criticized the IG for only giving department leaders two days to respond to the findings, saying it was far less than the 30 days usually given for corrections and reactions in more traditional VA investigations. He raised concerns about the evidence in the report and the standards for evaluating it. “I am inordinately concerned that the report as written appears to take every opportunity to cast the VA, the secretary and others identified in the report in the least favorable light through negative commentary or influences,” he wrote. 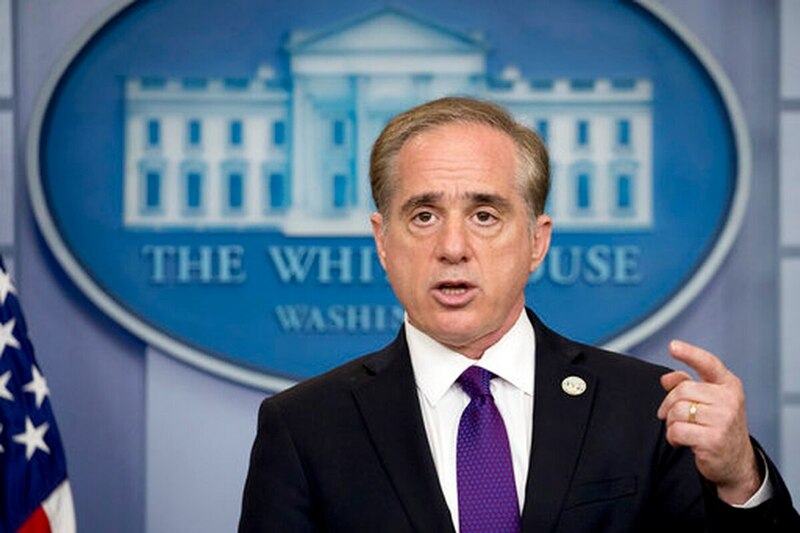 Shulkin is the first non-veteran to hold the post of VA secretary and is the only holdover of former President Barack Obama’s administration to President Donald Trump’s Cabinet. He was confirmed by the Senate with a 100-0 vote and has generally enjoyed positive reviews from lawmakers over the last year, although Sen. Jerry Moran, R-Kansas, last month accused him of lying in public statements about negotiations with Congress on new community care legislation. Following the report release, House Veterans’ Affairs Committee member Rep. Mike Coffman, R-Colo., called for Shulkin to resign. Shulkin and Trump have made accountability a major focus of VA reforms in the past year. In a statement, the chairmen and ranking members of the House and Senate Veterans’ Affairs Committees said they were “disappointed” by the report’s findings. Shulkin is scheduled to testify before the House committee on the president’s fiscal 2019 budget request on Thursday morning.